Meet our amazing 777 National Runners for 2019. 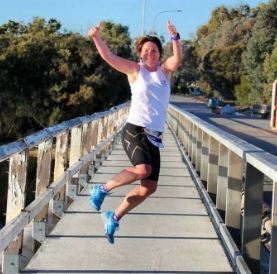 These inspiring individuals hail from various corners of Australia and each have a unique story as to why they are taking on the ultimate test of endurance of running 7 marathons, in 7 days, across 7 states. My name is Greta Duke and this year I’ll be taking on the Bravehearts 777. I have always been a keen runner. There is nothing I enjoy more than being able to lace up my runners and head out for a run. I love the brain space a long run can allow, but also the social aspect of running alongside each other. I have been super lucky to train and run my first two marathons alongside my best mate and can’t wait to take on this next challenge. 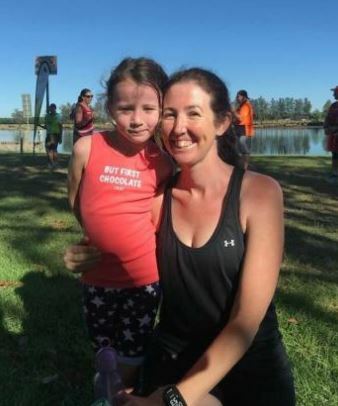 I am taking on the Bravehearts 777 marathon challenge this year to help raise awareness and prevent child sexual assault and would love your support. Every child deserves the right to grow up in a safe environment, free from harm and together we can raise awareness and support those affected. Any donation to help me reach my $10,000 target will be greatly appreciated. 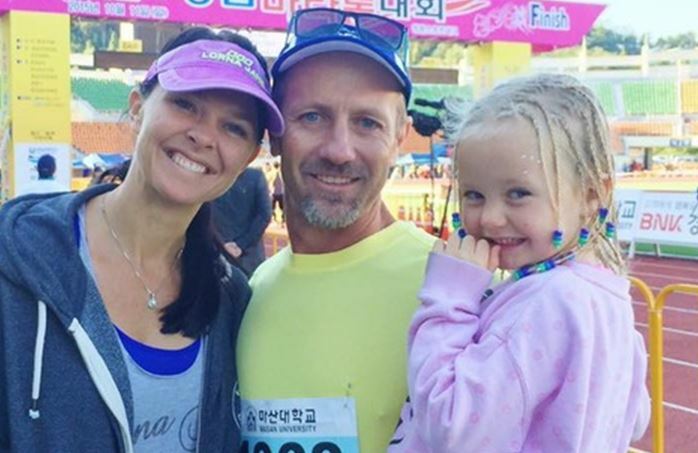 I am a wife, a mother of three, a runner and a creative. I love the places running has taken me over the years. 2018 saw me finish 3rd in my age category in the Maui Oceanfront Half Marathon and complete the Ultra-Trail Australia 100km event in under 20 hours. Running is something I have done forever, encouraged by my dad to just try my best and never give up. In 2019, I want to run for those who can’t. For kids who haven’t been able to get away from situations outside their control. Through my Anytime Fitness and Orangetheory Fitness family, I want to spread more awareness. With over 500,000 members across Australia, we can make a difference to these children’s lives. Running a marathon is hard, running 7 in a row is harder, but living through fear and abuse is something no one should ever have to endure. I can’t wait to do these marathons in July and meet the other amazing people joking in on this journey. Even though we are yet to meet, you all inspire me daily. I’m from Romsey, Victoria. 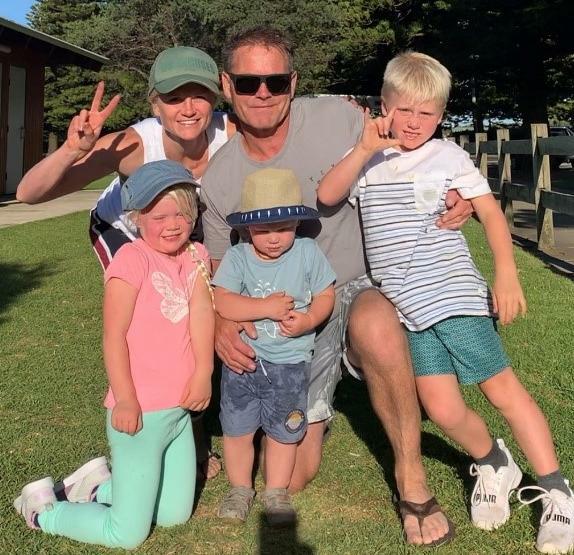 I am a Naturopath, Fitness Instructor but most importantly a mother to three beautiful kiddies Toby, Sophie and Ollie. I have been involved in this health and fitness industry for over 15 years as my real passion is helping to educate and inspire people to live fit, healthy, happy lives being the best version of themselves. My motto being ‘Living Life on a Natural High’. Becoming a mother has taught me so much. How precious life is and how childhood goes so quickly so I must try to give my kids the best possible start to life. Childhood is about learning, exploring, having fun, being free and being unconditionally love. As a mum its only natural I want to keep my kids safe and happy so when i saw this event i felt like i needed to do what I could to help this very important cause. No child should ever experience sexual assault but sadly in our own country it’s happening to regularly. I will do everything i can to help raise funds and awareness for Bravehearts so Australia can be the safest place to raise a child. 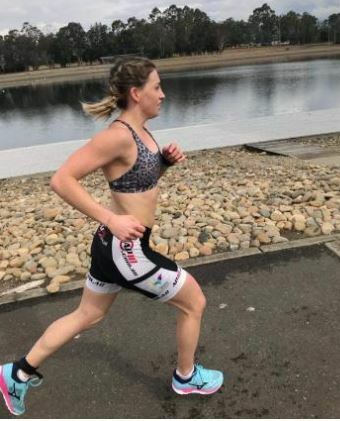 Having been a keen runner for the past 10 years, I have challenged myself with fun runs, triathlons, Ironman events, marathons and ultra-marathons. In the year that I turn 40 I have decided to take on my biggest challenge, and am seeking your support to help achieve this goal. My entire working career has been in the field of child public health. For over 9 years I worked in a clinical and management role with the School Dental Service, and have spent the last 10 years as a Manager at the Royal Children’s Hospital (RCH), Melbourne. My Name is peter Mahoney and I’m 57 years old. Many times I tried to begin this. The secret carried since childhood drives me now. My father was a very violent abusive alcoholic, along with the violence shared by my mother and siblings, unfortunately for me there was more. I’m stating this not for sympathy its just the facts and leads into why I’m so very keen to support Bravehearts. I was so very lucky to have an amazingly strong loving mum who got us kids through those years but the there was no support, no one outside our home knew. That’s why the school programs delivered by Bravehearts to me are so very important. If kids can be shown its ok to speak to empower them not to be victims we can change the futures of not only the kids, but entire families. I’m the luckiest man in the world, I know too many here in Ballarat who couldn’t carry the burden and taken their own lives but here I am having been father and then a single dad to five kids since they were aged 11 to 17, two boys and three girls. Now my youngest is 24 and I have eight magnificent grandchildren. They are proud that I’m doing the 777 again and so yes I can run, that’s the easy part. The hard part is asking for financial support. There is so many worthy causes out there, you can’t get behind all of them. I very much understand that and only ask for your consideration here to help me get behind Bravehearts and help protect the most precious in our community, the kids. So when people ask me why, my answer is quite simple: If we can help even one child it’s all been so worth it. “My name is Trent Hardcastle and I’m 39 years old. I live in Melbourne, Victoria with my beautiful wife Jo and our gorgeous 10 year old Labrador called Zoe. As a kid I use to love running Cross Country at school and in High School I ran a few City to Surfs. 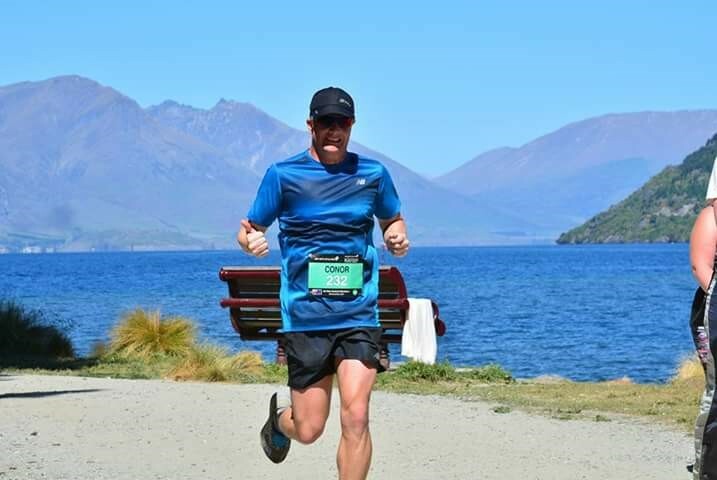 I had always wanted to run a marathon and tick it off my bucket list so I decided on 1 January 2018 that I would train and run my first marathon. This year I successfully completed the Great Ocean Road marathon and the Melbourne marathon. 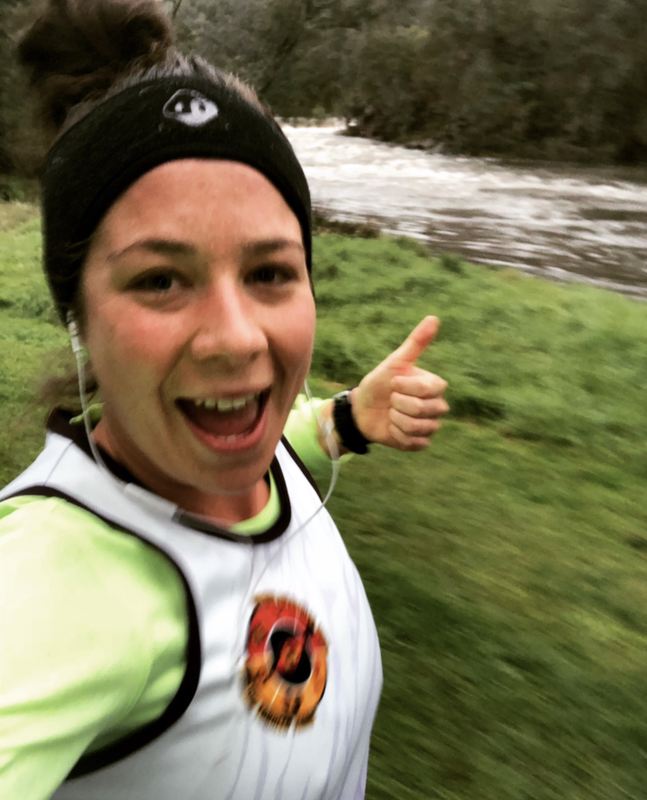 I developed a real love for running this year and during my training had thought that in the future I would really like to put my new found love for running to good use. Every child deserves every opportunity to succeed, to be safe and lead a happy life. I am extremely excited to be participating in the Bravehearts 777 Marathon. It’s an honour to raise money for Bravehearts and to help support the fabulous work that they do. If my small contribution helps and protects just 1 child then this challenge will definitely be worth it. I was fortunate to have a safe & happy childhood but I have seen first-hand the devastating and lifelong effects of child abuse, so I hope in a small way that my participation in this event shows the survivor in my life and all the other survivors that they are not alone. My thoughts of them will definitely help me during the training and the event. 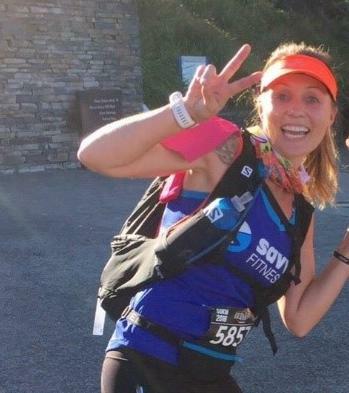 “Over the last two years I followed the amazing Bravehearts runners and was inspired to get involved this year. 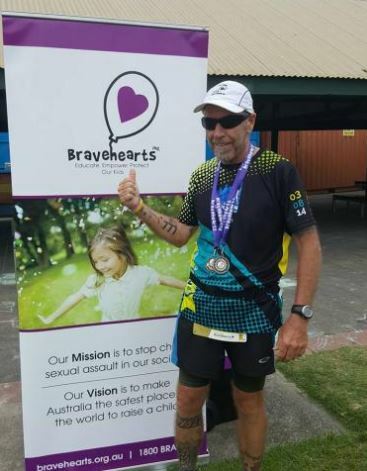 “I am returning in 2019 to continue my work assisting Bravehearts to educate, empower and protect Aussie kids from child sexual assault. 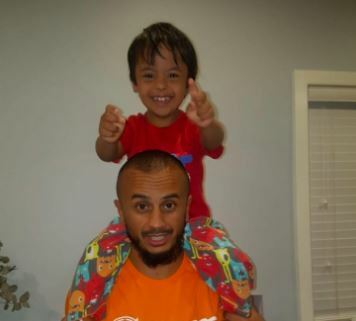 “I’m a 37-year-old husband, father and a child protection worker. I’m also a survivor of child sexual assault and a Bravehearts Champion for Children. “It took me over a month contemplating whether I should do 777, but what it essentially came down to was that every time I watched a case of child neglect or abuse on TV I felt hopeless and angry, thinking what could I do? “Back for my second go at the Bravehearts 777. As a survivor of sexual abuse I know how it can affect your whole life from the moment it happens. I was 5 years old when I was first sexually abused and the abuse continued on and off until I was 25. “My inspiration has come from my two older siblings who have participated in Bravehearts’ 777 Marathon in 2015 and 2017. I wish to add another $15000 to their combined total of $30000. Support Ian and Kayleen HERE. 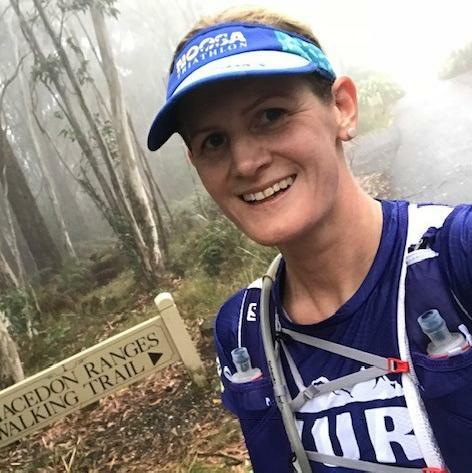 “As an endurance runner, I have run in distances from a 5km local park run to the iconic Coast to Kosciusko 240-kilometre road race from sea level to mountain top and return to Charlottes Pass Finish. “I am 29 years old and live in rural NSW. Together with my partner Dan we have two very active Border Collie dogs, Howie and Ollie. “My passion is running and through this, I have met many wonderful people who have helped me reach my goals and work towards new ones. I work in the disability sector which is such a rewarding job. It has given me a new perspective on life. To help and assist people who struggle to have a voice every day, I know that supporting Bravehearts is common to my own beliefs as they assist children who may struggle with their voices as well. 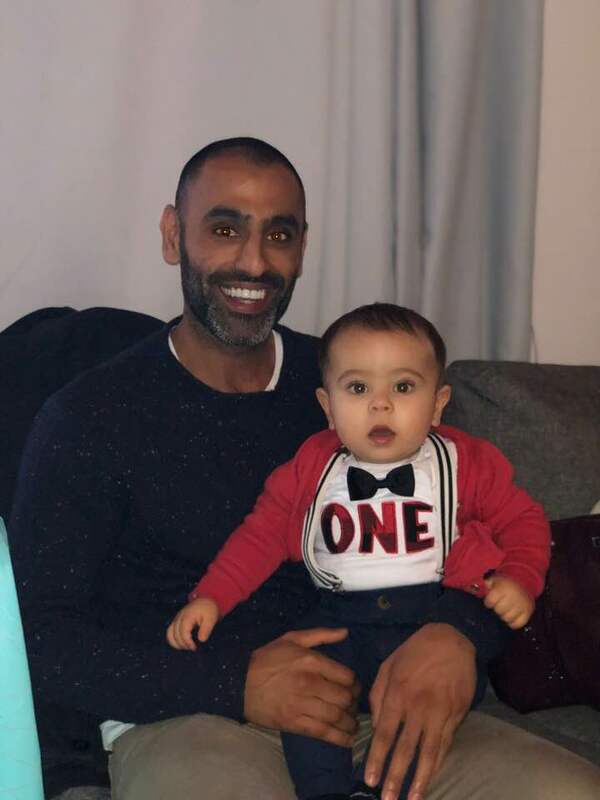 I am also a Grandfather, which has given me a lot of joy and through this event, will help me combine my love of running and children as well.